It doesn’t make it to The 100 Greatest Jazz Albums of All Time nor is it among the Village Voice’s Ten Jazz Albums to Hear Before You Die, yet the Miles Davis album, Birth of The Cool, was a pivot point in American jazz. The album became an orchestrated departure from bebop, with the word orchestrated meaning both the use of orchestration and a deliberate action. The collection’s origins are a bit disjointed. It is a compilation album by the Miles Davis’ Nonet (group of nine musicians) released in 1957 from 11 tracks recorded over the course of three sessions during 1949 and 1950. A final 12th track, the only song with vocals, was included on a 1971 LP. The concept emerged from the New York City basement apartment of Gil Evans, which had become a musicians’ hang out and informal salon. There in that cramped, smoky apartment, the young musicians discussed the future of jazz, including a proposed group with a new sound. The musicians were exploring “new instrumental textures” pairing horns together rather than pitying them against each other as in big bands. Evans and Gerry Mulligan worked out instrumentation for what would become the Miles Davis’ Nonet, augmenting the traditional bop quintet of saxophone (in this case, alto saxophone), trumpet, and rhythm section, with the addition of baritone saxophone, trombone, French horn, and tuba. The omission of tenor saxophone—a standard jazz instrument—was seen as highly unusual. Miles Davis, Lee Konitz, Gerry Mulligan and Bill Barber were the only musicians who played on all three sessions, though the instrumental lineup was constant, the musicians changed on each recording session. The key style differences achieved on the album were the paired instrumentation and the orchestrated sound coming from nine member group versus the big band standard 18 musicians. 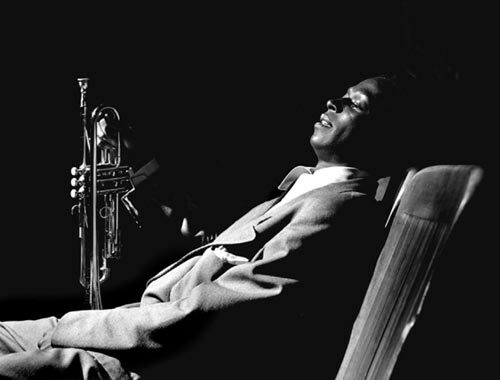 The album, with its mixed reviews, has been credited with starting the cool jazz movement as well as creating a new and viable alternative to bebop. 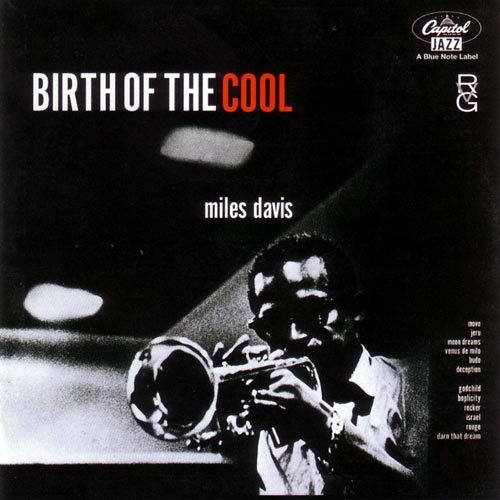 This entry was posted in Jeffrey Winke and tagged Jeffrey Winke, Miles Davis’ Birth of The Cool: Origins of the cool jazz movement, Poetry by Monsieur K.. Bookmark the permalink.